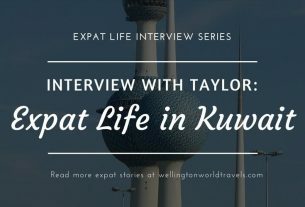 We are excited to welcome Ruby Khurdi to our Expat Life Interview Series. From India to Rennaz, Switzerland, let’s read her expat experience. A: Originally from Lucknow, India. A: Rennaz, Switzerland. 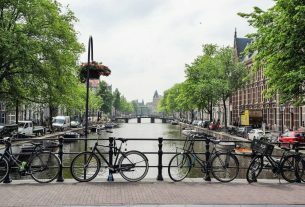 I moved here after getting married as my husband was working here as an expat. A: Initially we came here for 18 months, which further extended to another 18 months. It’s been 18 great years, and we are still here – happy and content!! A: We moved here as my husband Mr. Sunil Khurdi was working on a project for a short duration. I am a Professor in Swiss Private Business University teaching Human Resource Management, Marketing and Communication courses to Masters & Bachelors students. A: Moving from a small town in India to Switzerland was a big cultural change!! I was in awe of this amazing country which is so beautifully depicted in our Bollywood movies… It was love at first sight!! A: Rennaz is a small village close to Montreux. I enjoy most weekend walks with my family by Lake Leman, which is very close to our home, the manicured gardens with lovely flowers, fresh air, friendly neighborhood and cycling in the forests. Favorite Experience: During my first few weeks in Switzerland, I was very impressed that everyone knows my hubby on the streets of Vevey as almost every second person was greeting him – “Bonjour, Bonjour”. I was like “wow, you are so popular!” It was only after a month I realized that’s just a normal way of greeting on the streets… But that incident has become very special for us as I still joke about it with my husband. A: Home is where loved ones are. So yes, I miss my parents, close friends, cousins, fashionable Indian dresses and delicious food!! A: The initial few months were very difficult and challenging in a new country. The language was a major issue. Basic shopping was also difficult as looking for the items would take lots of time. Social life was almost none! Coming from India, I was used to housemaids to help at home and manage kitchen work, a driver (since I did not know how to drive a car), and a large social circle of friends. As an expat in Switzerland where the cost of living is so high, I had to make lots of adjustments in my way of living. Though it was not easy, I am happy I did it all!! I started learning cooking with friends by following cookbooks, compensated with once a week house help, and took driving lessons from scratch (even my hubby admits I am a better driver than him!). A: Quality of life is the best. Cost of living is expensive but every cent is worth it! Public transport is very safe and convenient for all age groups! A: Switzerland is an amazing country for both summer and winter activities. People can go hiking in the mountains, cycling in the forests, BBQs at picturesque locales, swimming, weekend at hot water spa, visiting museums, art galleries, Nestlé chocolate factory, Charlie Chaplin Museum, Cheese factory, theme parks, skiing, tobogganing, music festivals, concerts, fun boat rides, etc. A: During my initial years in Switzerland as a newly married couple, the day began with breakfast with my husband before he left for work, going to the gym twice a week, walking by the lake to discover nature and making new friends, window shopping, following a cookbook for dinner in the evenings. A: It was not easy making friends with the locals due to the language barrier, as not many people spoke English. I was struggling with French!! Since I am a very social person by nature, I had lots of expat friends – we would go for coffee meets or walk by the lake! I did face a big cultural shock in terms of food, drinking wine (I still don’t drink any alcohol), and also work culture. I really had to make lots of efforts to understand it and adapt accordingly… Gradually, I was able to overcome both. Now, I have lots of local friends and my kids have integrated very well as they go to a local school of our commune. A: Fortunately, I didn’t have a problem in getting the visa as my husband’s employer did that for us. It was pretty well-organized. A: There was a big difference in work culture. Since I am a professor teaching Masters and Bachelors program, I expected a bit of a physical distance between teacher and students, not very friendly or outgoing. But to my big cultural shock, in my first month of teaching at the private University, my students invited me to a local pub for drinks, offered me cigarettes during class break (which was a complete no-no for me)! Back home, our teachers are like demi-god! There is no difference of opinion. We literally respect and worship them! 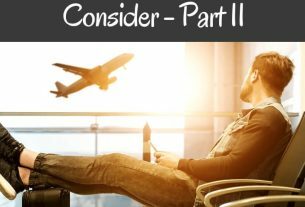 A: E-D-U-C-A-T-E yourself very well before going to any country as an expat. It will make your stay more interesting and memorable!! Elaborate understanding about the Swiss culture. Entertainment unlimited as Switzerland is centrally located, you are well connected to all European destinations! You can be in the UK, Italy, France, Germany, Amsterdam, Brussels, etc. in a short travel time. Heaven for both winter and summer activities – there is always something fun happening around here!! 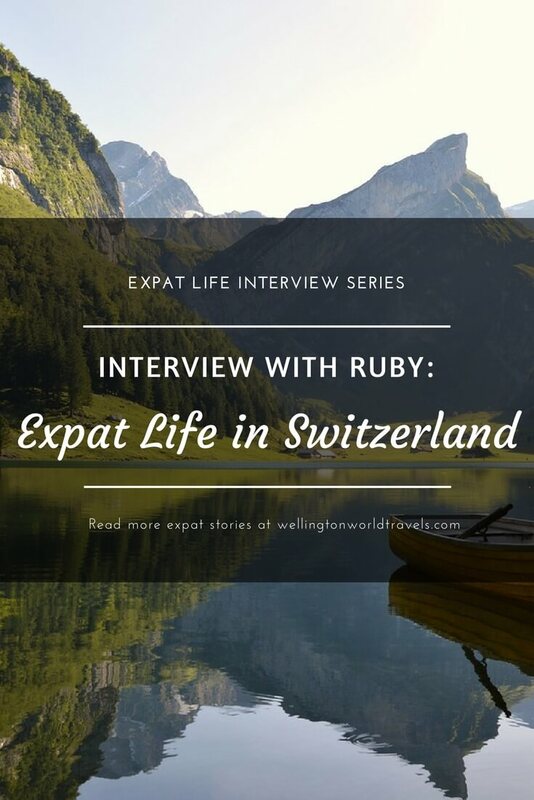 Thank you, Ruby, for taking the time to be part of our Expat Life Interview Series! Ruby is a Professor in Swiss Private Business University teaching Human Resource Management, Marketing and Communication courses to Masters & Bachelors students. Some of her awards and recognition include Exceptional Women of Excellence 2017 Award by Women Economic Forum, Nominated Most Inspiring Female Entrepreneur 2017 by Swiss Entrepreneur Magazine, Competent Communicator Toastmaster, and Leadership & Cultural Training Specialist. Follow her website at rubykhurdi.wixsite.com/allmontreux, and connect with her on Facebook: ruby.khurdi, allmontreuxchapter, dancebollywoodRuby. Thanks so much for your feedback ladies; I am very happy just reading it now!! Its always nice to help others just by doing simple things? 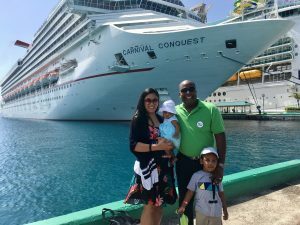 We enjoyed reading your expat experience, Ruby! All the best! What an interesting read, must have been an amazing experience. I myself have changed countries twice. From Africa to Italy and then to the UK. It’s always an exciting time of discovery but also some frustration. Thank you for sharing your journey. Switzerland is one of my favourite places too! Thank you for reading Ruby’s expat experience. Appreciate it. Well done Ruby for taking that big leap of faith like many people have done. I can imagine with a family it is a much more difficult to adjust. Though having said that children are very resilient than us adults 🙂 We have housesat for many expats all with differing experiences, and all interesting! Good interview Maria. Thank you, Suzanne, for reading Ruby’s expat experience.